While we note for the sake of accuracy that the president did not in fact use the word “lazy” in his reference to young people in Nigeria, this should not be interpreted as condoning his bad judgment. Several things were indeed wrong with the president’s remarks. First, President Buhari was addressing an international audience comprising investors who were eagerly reading the tea leaves on the direction of the Nigerian economy. He had a moral responsibility, as Nigeria’s chief salesperson, to render the country in a good light and pump up its appeal. Sadly, the president failed in this crucial duty. If the investors had any lingering doubts about the prospects of investing in Nigeria, the president reinforced them. Second, President Buhari appears to have a jaundiced and terribly misinformed understanding of Nigerian youths, who have been making a splash in, of all places, London, the venue of his address. 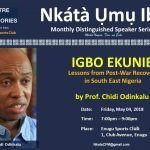 If it is true that young people in Nigeria insist on sitting and “doing nothing and get housing, healthcare, education free,” how does he square that with the reality of youth emigration from Nigeria, and the fact that thousands of young Nigerians consistently flourish in the western countries to which the situation in Nigeria has driven them? As we speak, Nigerians are model minorities in many western countries, including the United Kingdom and the United States, in large part because of the drive, appetite and dogged entrepreneurship of young Nigerian immigrants. So impressed was Facebook founder Mark Zuckerberg with the ingenuity of Nigerian youths that, during his visit to the country in June 2016, he donated $24 million towards the training of software developers. Third, President Buhari, not for the first time, missed a golden opportunity to say something profound about a genuine sociopolitical problem. Perhaps the president genuinely believes that a redistributive mindset is a problem in Nigeria, and that Nigerian youths hanker after handouts. If that were true, the onus is on the president to comment intelligently on the issue, grounding it in a deeper sociological discussion. As it is, we don’t really know what the president concretely believes, or whether he has contemplated this matter with any degree of intensity. What we do know is that, yet again, President Buhari addressed an international forum without any prior preparation, and having failed to acquaint himself with the basics of his subject matter. It is upsetting that President Buhari failed to show that he understands the character or needs of the young people he purports to govern. 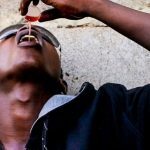 Next article BBC jolts Nigeria to the age-long scourge of codeine addiction.